Whether you fling a fly, cast a lure, or bait a hook, the Arkansas River is full of wild trout that will challenge your skills. 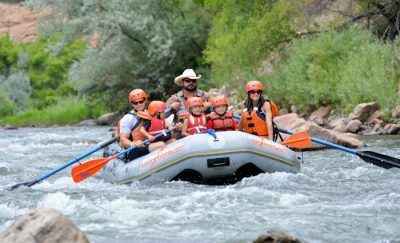 The experience of fishing in this beautiful, rugged river canyon for brown or rainbow trout is unlike any other and is a true western sporting experience! 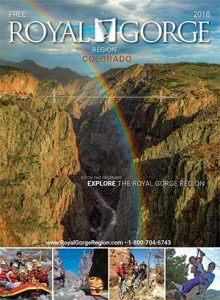 Parkdale is on Highway 50, just west of the Royal Gorge turnoff. The Parkdale Recreation Area has parking, picnic tables, and fishing access for a fee or is free if you have a Colorado State Parks Annual Pass. If you go about one mile farther upstream (west), you enter BLM public land (look for the small roadside sign), where you can fish upriver for miles—until you see the “Leaving Public Lands” sign again. Just find a safe pullout on the side of the road where the bank looks manageable and go for it. Please note that valid Colorado fishing licenses are required.